From May 14th to 26th experience the Cannes Film Festival with the VanDutch Yachts. In its 67 years of existence, the Cannes Film Festival became the most prestigious international event in the world of cinematography. Originally, the film festival was a social event during which most of the competing films received an award. With the appearance of international stars on the red carpet of the festival, the media coverage has exploded and the Cannes Film Festival reached a legendary international reputation. From May 14th to 26th, the Palais des Festivals will see the biggest world movie stars on its red carpet. For a fortnight, the whole planet will have its eyes set on the Croisette. It will be the gathering place of the best of cinema: cinema lovers, filmmakers, producers, major magazines, production companies… They all give each other rendezvous to create the cinema of tomorrow. During the 67th edition of the Cannes Film Festival, which will be held from May 14th to 25th, NTK Marine and VanDutch Yachts offer you transport accommodations for your guests and your clients up to the heart of the festivities. The transportations are organized from the harbors of Cannes, Monaco, Antibes or the private pontoons of the French Riviera palaces. 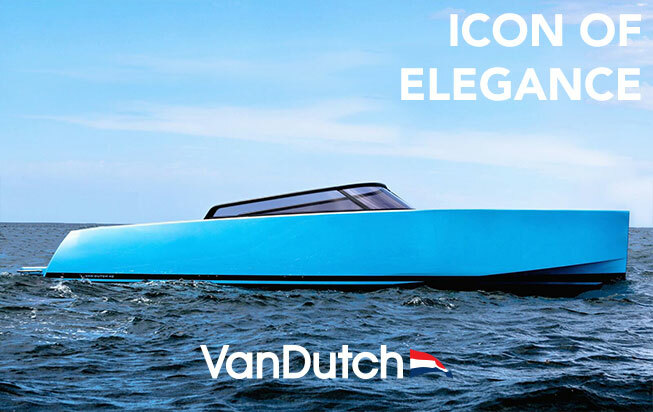 Live an unforgettable experience during the most glamorous festival in the world by offering a unique service with VanDutch Yachts famous and recognized for their design, refinement and elegance.